Let’s be honest, no one likes to write a report. It is something we all dread, starting as early as grade school. Report writing is probably one of the most hated, yet most important aspects of many different professions. In the world of health, safety and environmental, from relaying the events of a safety incident to expressing risk concerns, effective report writing is critical. Below are a few tips and training tools to simplify the report writing process for you or your team while increasing the quality of your incident reports. A report, at its most basic function, is to inform. Ultimately the report writer is responsible for gathering the pertinent information and composing it in such a way that it can be conveyed to the reader who may or may not have any other way of getting incident related information. Depending on the incident event, this can seem like an overwhelming task. There can be many details involved and all of these details must be recorded. So how do we sort through the info and know what to send? We stick to the 5 reporting questions; WHEN, WHERE, WHO, WHAT and HOW. WHEN – When did the event occur? Provide the time and date. Also record when the incident was reported, when outside assistance was requested, when assistance arrived. Remember to put a time stamp to every step of the incident. This will make creating a time line during the formal investigation much easier. WHERE – Where did the event occur? Be as specific as possible! Remember to list items such as cross streets or floor level. WHO – Who was involved? There may be more people involved than just the person affected by the incident. Who responded? Who escorted? Who provided assistance? WHAT – What happened? This is generally known as the narrative. Be as detailed as possible. If the information is pertinent to the incident, you can never have too much. Don’t forget to include information regarding what transpired after the incident. HOW – How did the incident occur? This is not to be confused with WHY. The why will be determined during the investigation. The HOW refers to the conditions or events that led up to the incident occurring. Early on in my Health, Safety & Environmental career I received a preliminary incident notification from a field safety representative written with these exact words, “Employee had finger crushed when smashed between two pipes”. That was it. Re-read that sentence then try to imagine the scenario based on the information given. It is still amazing to me how such a short and under detailed statement can conjure such vivid mental images. I envisioned parts missing, surgery, lost time, etc. After racing to the scene of the injury, it was found that the employee had sustained a quarter-inch abrasion on his little finger when he brushed against a two-inch pipe. As I mentioned earlier, it is important to remember when filling out an incident report or notification that the person receiving it may not have access to information other than what you are sending. Do not use “shock” words like SMASH and CRUSH. Get familiar with and start using non-startling words. Try replacing words like smashed with contacted. Instead of crushed, try caught between. Talking in third person probably won’t help you on a first date but it can be a report writer’s best friend. When constructing your narrative always use the name and function / role of personnel involved. Be sure to refrain from using words like; him, they, we, I, hers, etc. as those terms may become confusing as more players are introduced into the report. Instead use terms like; Employee Jones, Truck Driver Smith, Supervisor West, Employee Jones’ Equipment, Etc. dent and you are entitled to it but keep it to yourself. Opinion, speculation and guess-work have no place in a professionally written incident report. Like Joe Friday used to say, “just the facts, Ma’am”. 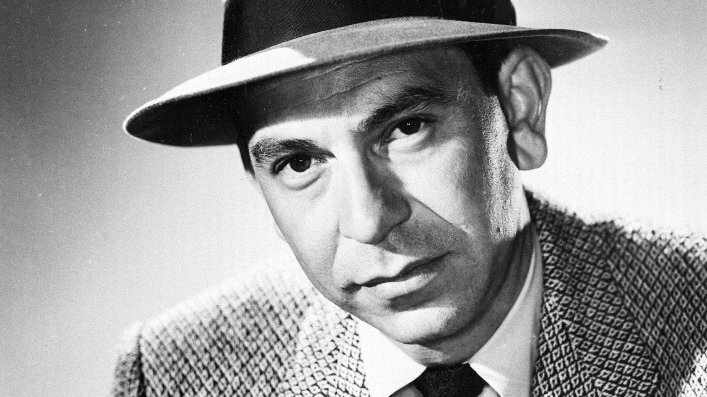 I think I just dated myself with that Dragnet reference. Like I mentioned earlier, there may be volumes worth of information to report. You are human and you will forget things. That’s okay! Reports are made to be amended. Stick to the basics and you will be alright. Depending on the severity of the incident, the report may be continuously evolving. New information may come to light through interviews and investigations that may even contradict earlier reported information. That’s okay as well. Once the information is on the report and the report has been transmitted, leave it alone. If you need to add to it or revise previously reported information, add a new line at the bottom of the narrative and be sure to include the date you are making the additions or revisions. This prevents different “versions” of the report being transmitted to various recipients. As with anything in life, practice makes perfect. The more reports you write, the easier the process becomes. It is my humble opinion that scenario based training is some of the best you can get. Below is a training exercise I have tested with my team and have gotten excellent results. I’ll provide them with a scenario… or if you want to make it challenging, provide a picture. Front end of vehicle 1 contacted rear end of vehicle 2. Weather conditions were sunny and road appears to be dry. Have your team members write an incident notification or “First Report” based on what they see. Then move into the fact-finding and incident report writing. Allow them to ask questions to help clarify the scenario but speculation must be discouraged. Start simple and you can build the story from there, directing the narrative you hope to achieve from your team members. Once completed either review as a group or have your team members critique each others reports. If choosing the latter approach, make sure the critiques are kept supportive. We want to encourage growth and improvement, not bruise egos. Training can be done as a group or as a “homework” assignment. Be sure that when you are training, use whatever platform your company uses for an actual incident report. Like the header says, “train like you fight and you will fight like you train”. For more information, feel free to contact me. Always remember, credibility as a professional is key and when it comes to the world of safety, quality reporting can make or break you.